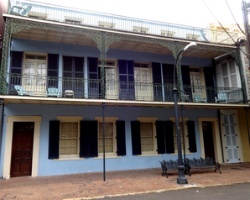 *Jean Lafitte House* (named for the famous pirate and patriot Jean Lafitte) is an 1830's original townhouse built by pirates and renovated for vacationing use! 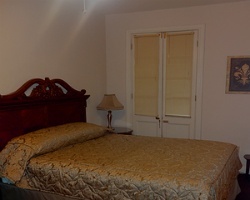 Fantastic jazz clubs and restaurants are within walking distance of the charming house, and Jean Lafitte's amenities include a beautiful outdoor pool, and a whirlpool and hot tub. The Riverfront Streetcar can bring guests to the nearby aquarium and Jackson square. Sailing and fishing are offered nearby, as well as great live entertainment- and the Jean Lafitte House is only 15 mi from the New Orleans airport! Enjoy vacations in New Orleans every year in week 41! 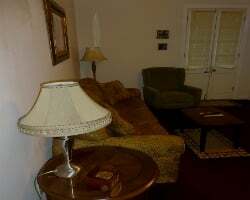 Resort close to jazz clubs & more! Buyer may receive a title fee credit, inquire for details! Enjoy staying close to all the New Orleans fun! Week 36 every year! Buyer may receive a title fee credit, inquire for details! Great resort close to jazz clubs, restaurants and more! Floating week! Buyer may receive a title fee credit, inquire for details! Price is negotiable! Come to New Orleans for you annual week 39 vacations! All reasonable offers will be considered! !